Lincoln, Neb. 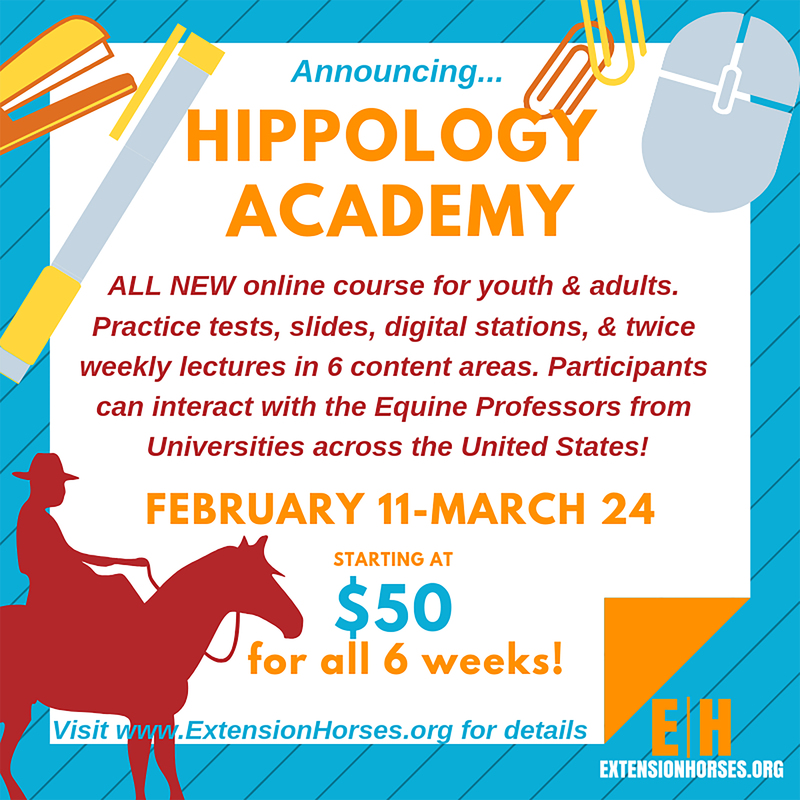 ― Equine professors working with ExtensionHorses.org are offering a new Hippology Academy, Feb. 11 to March 24, 2019. This short online course is designed for youth, adults, leaders, and extension personnel to gain knowledge and practice on horse hippology content. “Youth and leaders are always asking and looking for more ways to get ready for hippology and other contests,” said Kathy Anderson, UNL Extension horse specialist. Registration opens January 15 at www.extensionhorses.org and closes when enrollment reaches 100 participants or February 10, whichever comes first. Extension is a Division of the Institute of Agriculture and Natural Resources at the University of Nebraska–Lincoln cooperating with the Counties and the United States Department of Agriculture. University of Nebraska–Lincoln Extension educational programs abide with the nondiscrimination policies of the University of Nebraska–Lincoln and the United States Department of Agriculture.